The Lost Duck is Whistler’s (pocket size) What’s on Guide. The Lost Duck is printed monthly it is available throughout Whistler. 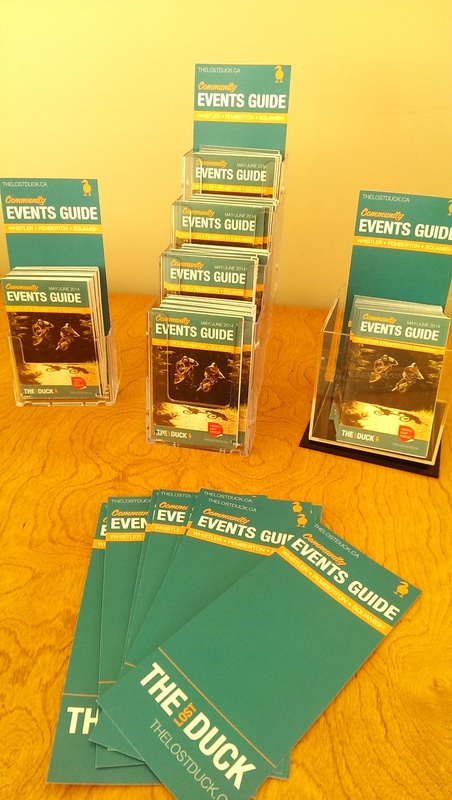 It is a handy pocket size guide that you can throw in your pocket to find out all about the small and interesting events in Whistler. Ask anyone how easy it is to find out about community events in Whistler and they may look a little lost – until they find a Duck! Ask a local what time the drop-in basketball is, or details about the bird walk on Lorimer road… and well, you can see how a duck was born. For online events, visit out our sister website and community events website The Social Collective.